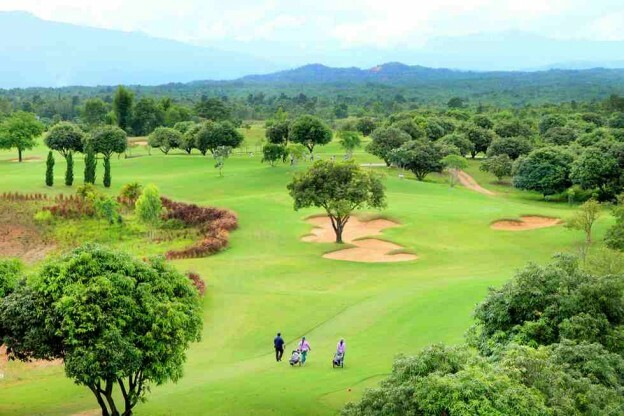 Book your golf tee times at Premium Golf Courses in Thailand directly with Golf Tours Thailand, including Green Fee, Caddie Fee and transfer Hotel-Golf Course-Hotel. We can also arrange on course Golf Lessons with our PGA teaching professionals. If you need accommodation in Thailand, please book one of our All Inclusive Thailand Golf Packages or let us put together an attractive Custom Made Package for your golf vacation in Thailand. We have special rates with all major hotels and golf resorts in Thailand.